Casarecce translates to "home made." Originally from Sicily, traditionally made by hand using a ferro (a thin metal rod). 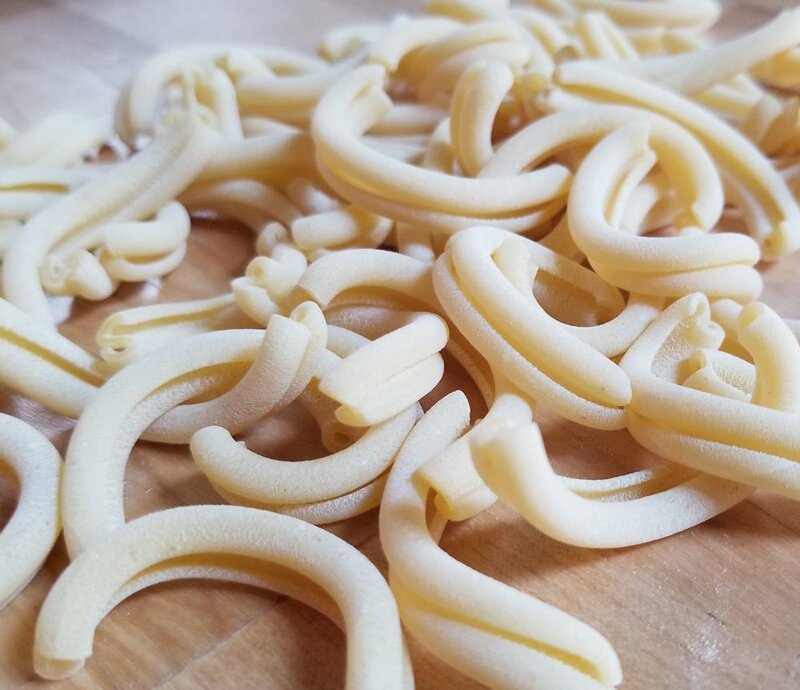 While homemade casarecce can be wonderfully delicious, our bronze-die extruded version is texturally superior with its rough exterior ready to cling to any sauce you throw at it.